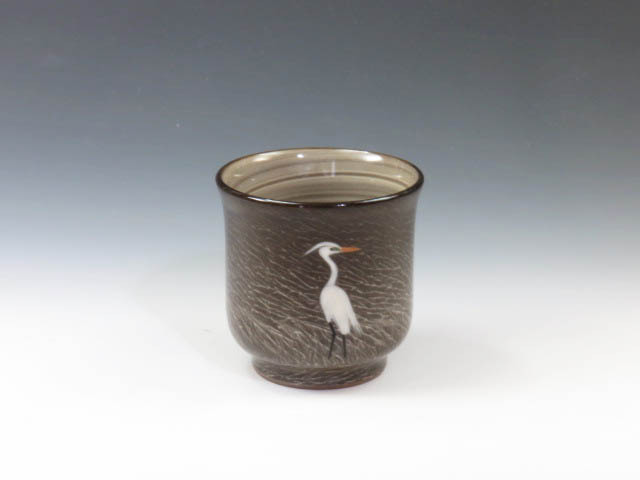 A calm sake cup with a lonely eqret in the field painted in brush stroke ! 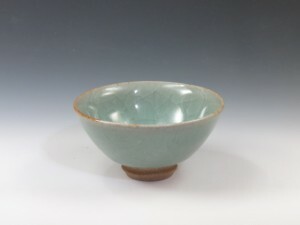 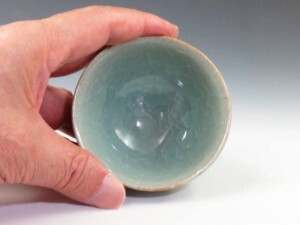 A celadon-glazed sake cup with cracles produced due to different thermal coefficients of the clay and the glaze ! 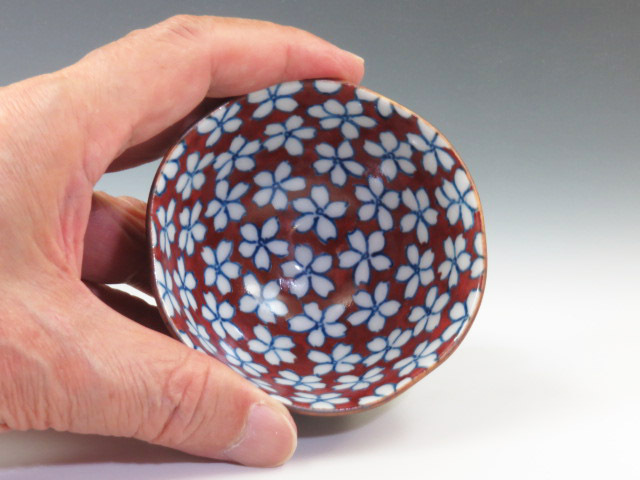 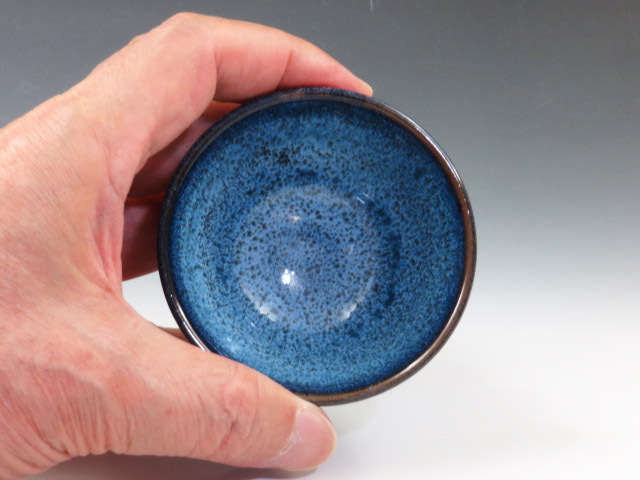 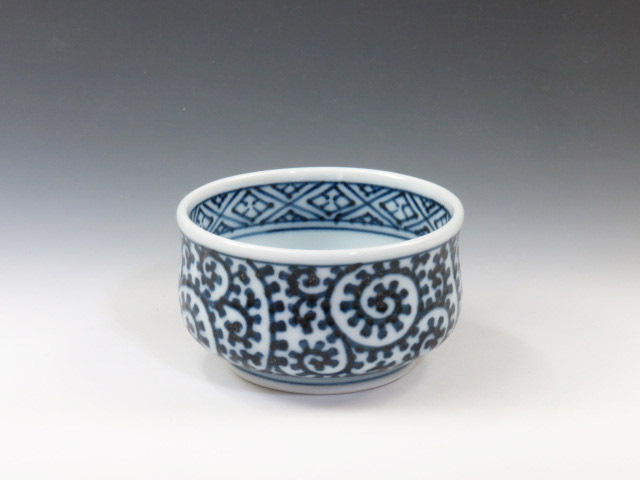 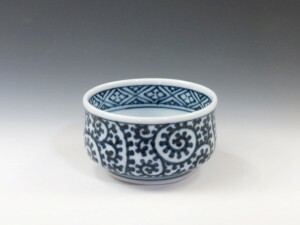 A porcelain sake cup with “Takokarakusa-Mon (or arabesque pattern) in cobalt blue ! 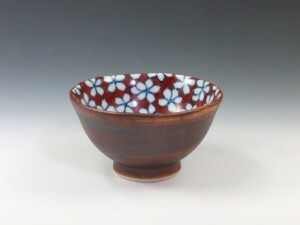 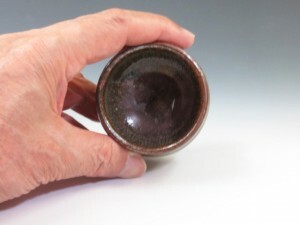 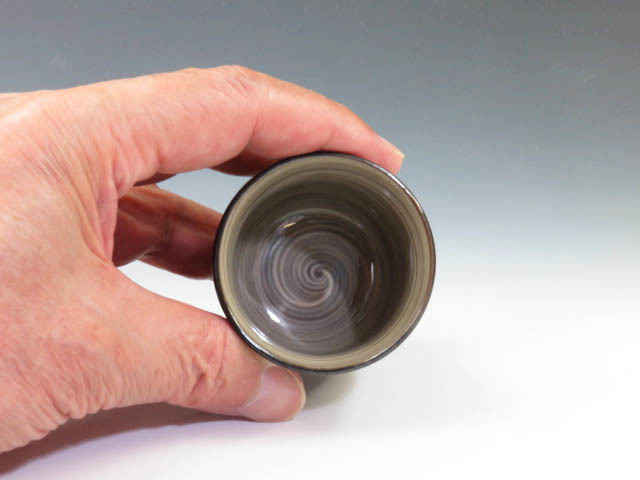 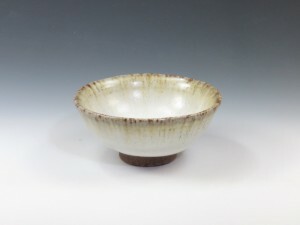 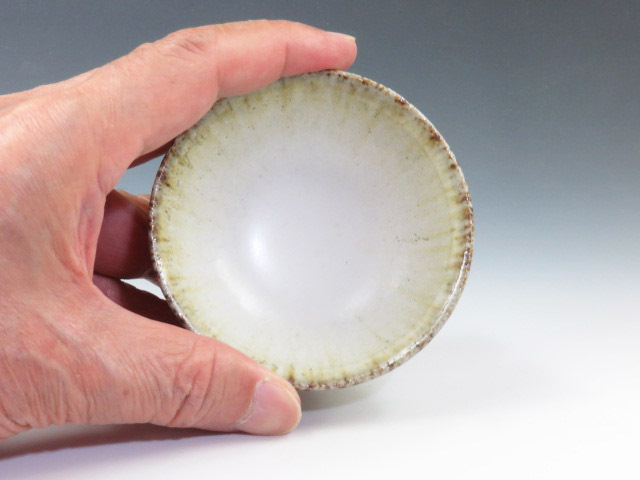 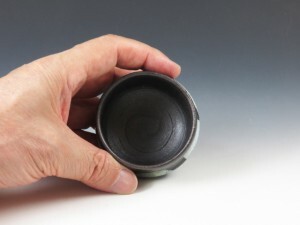 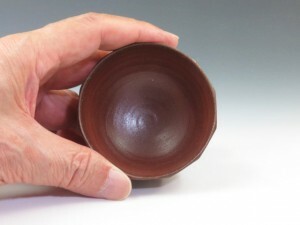 A throwing-marked pottery sake cup applied with brown ash glaze of apple tree ! 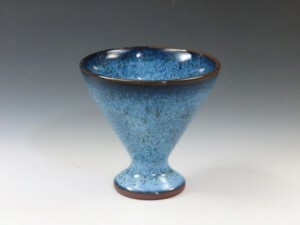 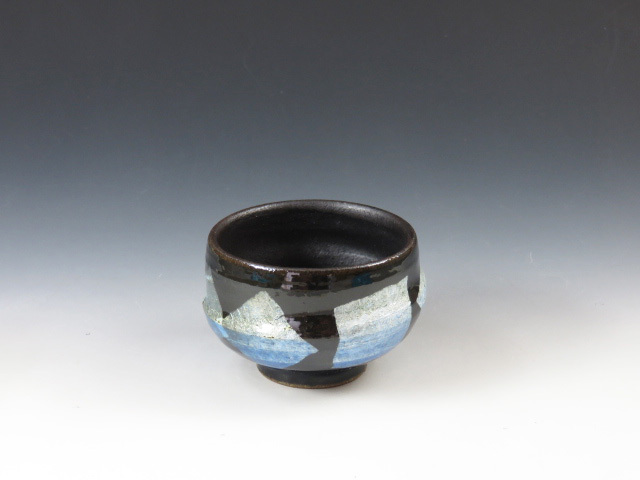 A beautiful pottery sake cup applied with traditional “Namako (or sea cucumber ) ” glaze ! 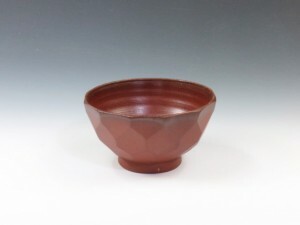 A reddish pottery sake cup with sophisticated tortoiseshell pattern ! 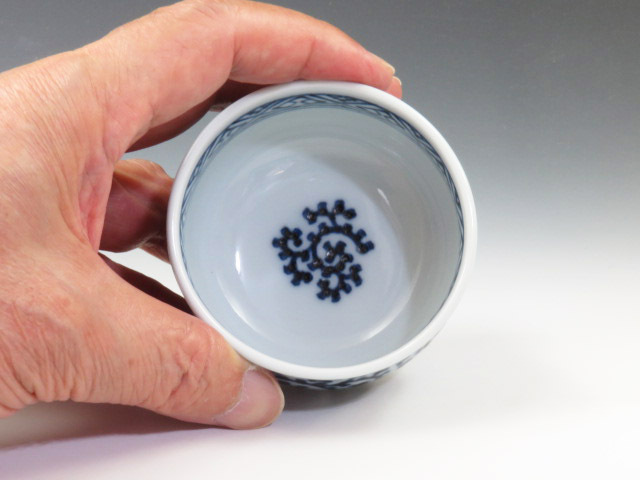 A porcelain sake cup with lovely cherry blossoms inside and brush mark of iron glaze outside ! A “Zansetsu (or Remaining snow)” sake cup with fine iron glaze flows around the lip ! 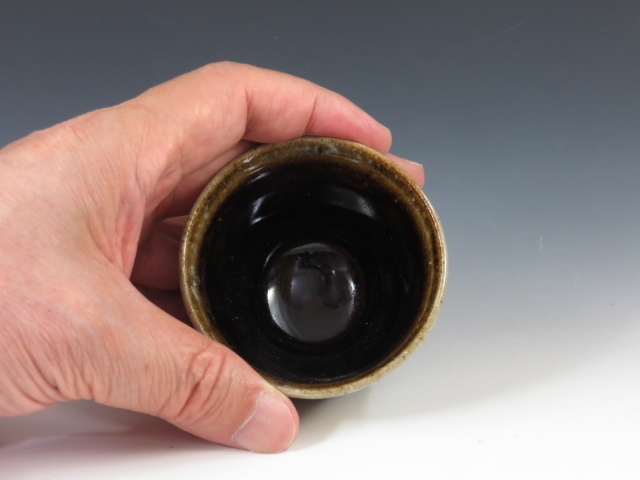 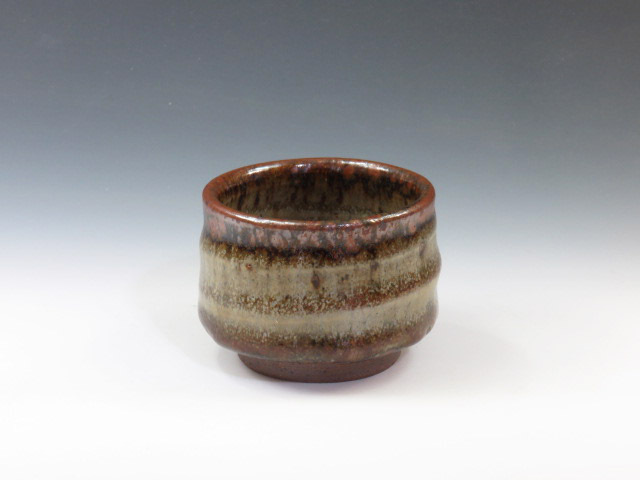 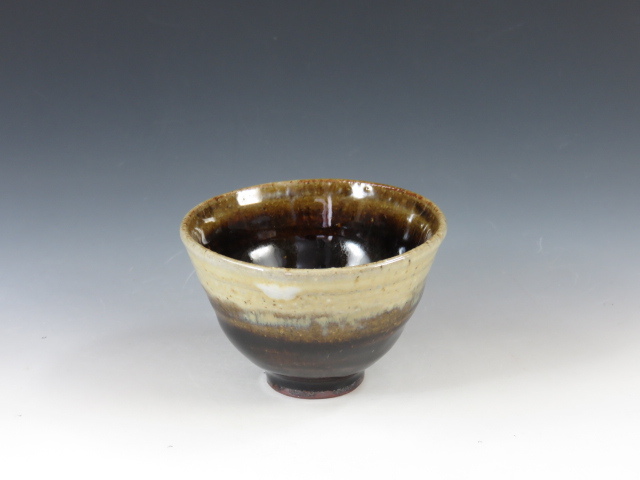 A beautiful sake cup applied with Hai-yu (or ash glaze) over Ame-yu (or caramel glaze) in Chosen Karatsu style ! A cool Kutani sake cup decorated with traditional silver foil in blue !